On the waters. Image courtesy of Connor McNeil. This is part of BNN Bloomberg's series on odd jobs and the Canadians who work them. 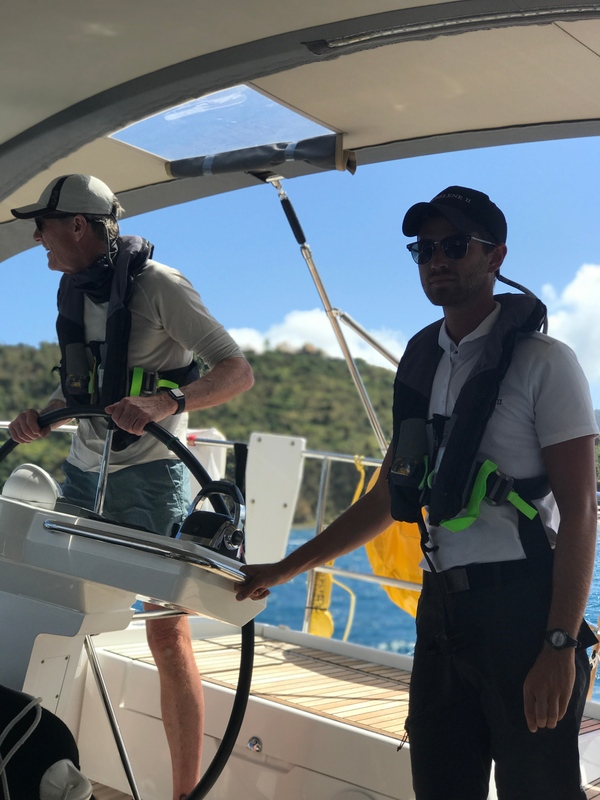 Connor McNeil is making a living sailing his way through the Caribbean Sea, and he says he doesn’t miss home at all. 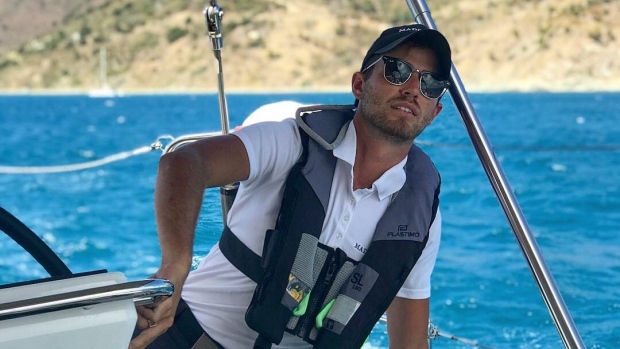 The 22-year-old from Toronto, who began sailing at the age of 12, is a hired hand on a 64-foot yacht, chauffeuring the boat’s owner — a.k.a. the captain, a vacationing retiree who’s also his employer — and the owner’s friends and family as they hop from island to island. As first mate, deck hand and steward, McNeil does a bit of everything. In addition to steering the yacht and working the sails, he cleans, makes beds and runs dinner service. 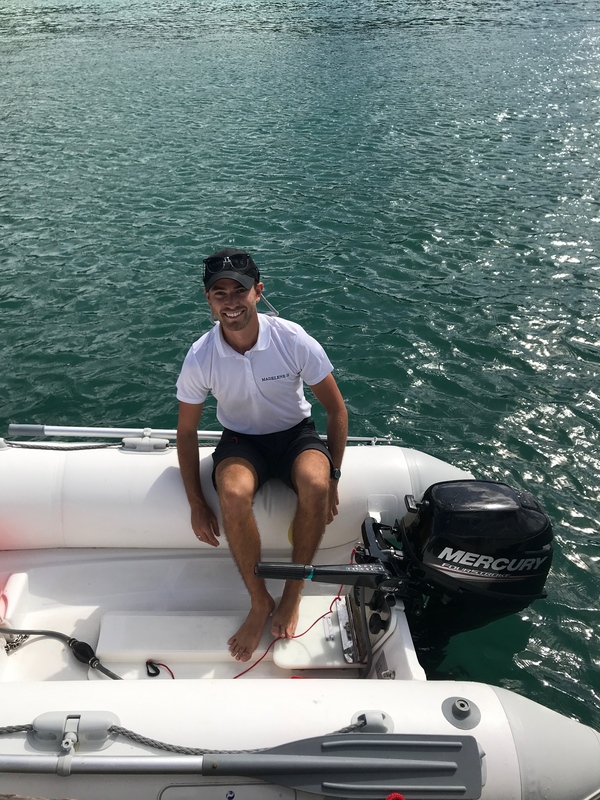 This is the first boat he’s worked on abroad since completing his undergraduate degree from Dalhousie University last June. After graduating, he debated whether to go to law school, or go down south and work on boats. “Right now the boats are fuelling my heart over law school,” McNeil said on the phone from St. Lucia, en route to the British Virgin Islands. He’ll earn $15,000 at the end of this current six-month contract — all of which, McNeil says, can go into his savings since on-the-job expenses, including food as well as room and board, are covered by his employer. McNeil is one of many Canadians who have made a leap into off-the-beaten-path careers as the labour market becomes increasingly disparate. Below, McNeil discusses how he got the gig, the most beautiful place he’s seen while on the job, and how it’s not always glamourous even when you’re in paradise. Q: How much training did you need to land this job? A: I had to learn how to sail and do all of my coach training, first of all. Sail Canada has different sailing levels, similar to how swimming [lessons are] set up where there’s a level-progression system, and once you get to a certain point, you’re allowed to teach. With regards to this job specifically, I had to take the “Day Skipper” course through the Royal Yachting Association. That allows me to captain a vessel around the Caribbean. Q: Are there certain personalities that are more suited to this kind of work? A: You have to be independent and completely fine with being alone. At times, you are just by yourself with no friends. But it also takes interpersonal skills to meet and get along with new people. You’re put in different crews and you don’t get to choose who you work with, and it can change frequently. You have to deal with multiple personalities and be professional at all times. So it definitely takes a very strong, independent personality. Q: Do you ever get lonely or miss home? A: I don’t miss home at all. It gets boring [on the job], but not necessarily lonely. Everyone’s a phone call or a FaceTime away. And luckily, with being down here, I’ve been able to meet a lot of people and make a lot of friends on different islands. Q: How did you find this job? A: I was finishing up my [coaching] contract at the yacht club [in Pickering, Ont.] and I mentioned to a few of the people there that I wanted to get a job down south and work on a yacht. One of my old friends said he might have a job for me and that I should contact this person, who is my current employer. So I reached out and went through a quick interview process in Toronto, and he hired me on board. Q: The owner of the yacht presumably knows how to sail. What’s the incentive to hire help? A: There’s a lot of work involved in maintaining these boats and it’s sometimes too much for just one person. They may want to enjoy time with their guests. Q: What’s something surprising about your line of work? A: There’s a definite luxury component to it, but there’s also a roughing-it side. Sometimes you have to go a few days without a warm shower or fresh water. It’s also small living quarters, so you have to be content with a small bed that’s not necessarily your big queen bed that’s back at home – kind of like camping. Q: What’s the most beautiful place you’ve seen while on the job? A: Tobago Cays, in the Grenadines. It’s a very small island, no one lives on it, there’s no homes on it. But the water around it is turquoise blue, and there’s actually a turtle park right close by. So when you go for a snorkel, you’re pretty well guaranteed to see some marine life and a turtle. This interview has been edited and condensed for clarity. All images courtesy of Connor McNeil.